available with and without the date function. The case is made of 316F stainless steel and measured to be 40mm in diameter, it is brushed in whole surface, one-piece forged case has better water resistant performance, including screw-in crown, you do not need to worry water enter into when washing hands or swimming. 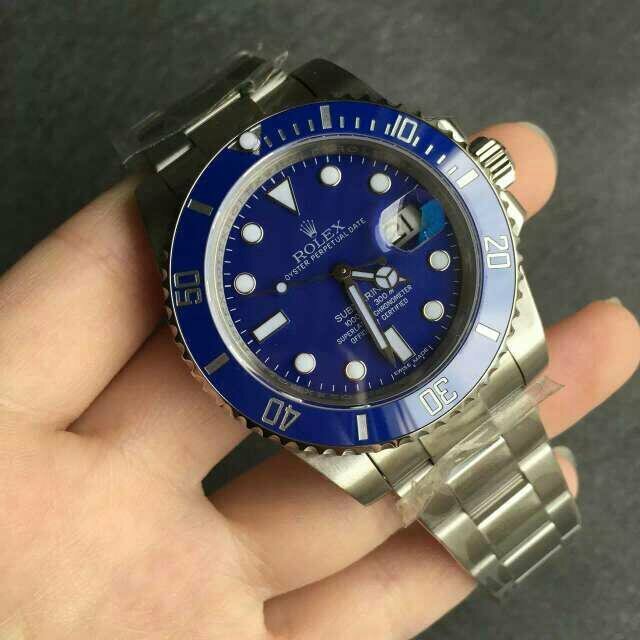 The bezel is blue ceramic and has silver markers engraved, there is a pearl on bezel that has silver edge. These bezel markers look more delicate than that of previous versions. Because of one-piece forged case, there is no gasp between the bezel and case. 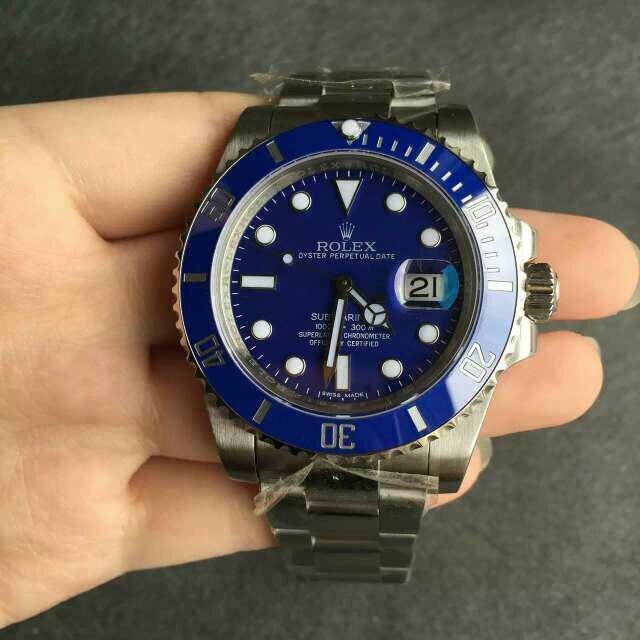 Blue dial echoes with blue ceramic bezel, white printings and superlumed hour markers as well as hands, the inner bezel has correct Rolex Rehaut engraved like genuine, as well as unique reference number. Using solid links on stainless steel bracelet, which is new Oyster style, the replica features a similar weight to original 116619LB. The bracelet is also one of the places I am pround of. Its polishing and craftmanship are better than any other versions. The factory researched the genuine watch and produced the bracelet that features the same folding structure as original. 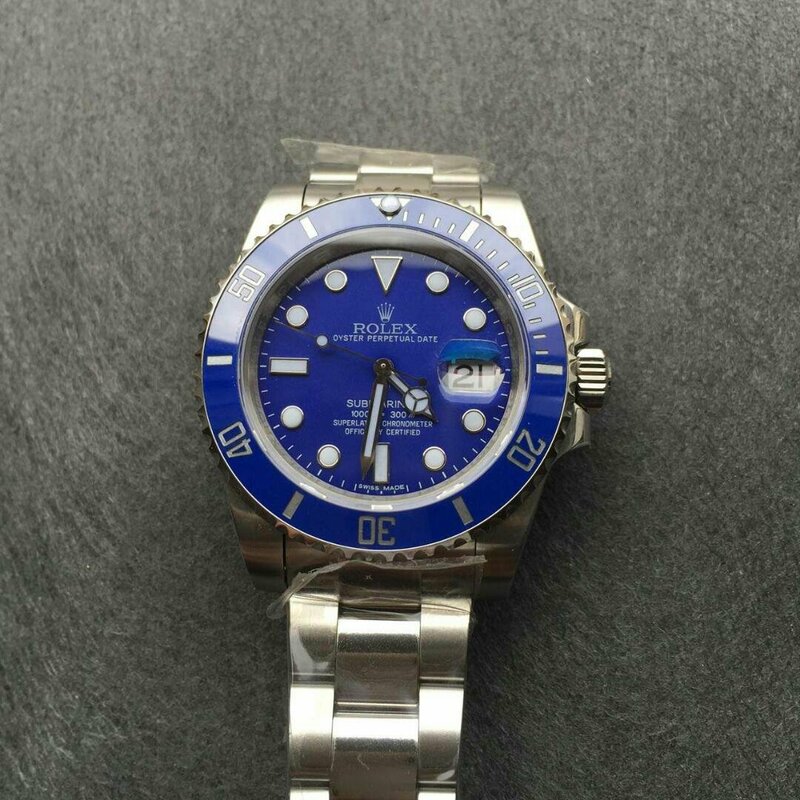 When opening the clasp, you can find the blacken Rolex Logo and other engraving, these are all done by laster machine, you can always tell a good quality replica from poor ones by checking these small details. Besides the super blue dial lume, the replica is powered by a super clone 3135 calibre, which is the latest 3135 movement in our watch market, it could be more stable and accurate than other 3135 replica movements. But you could also buy one with Asian 2836 at lower cost.